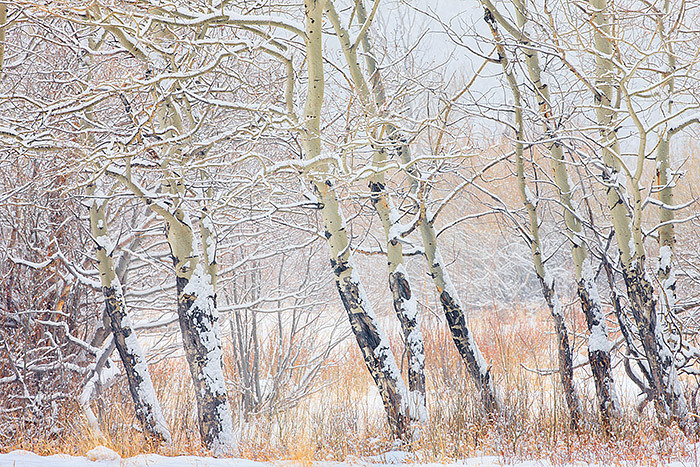 A stand of aspen trees in Horseshoe Park stand tall during a powerful winter snowstorm. Snow is falling hard on the branches and boles of the aspen trees and the winter willows add a subtle splash of color to this winter scene in Rocky Mountain National Park. Photo © copyright by Thomas Mangan.